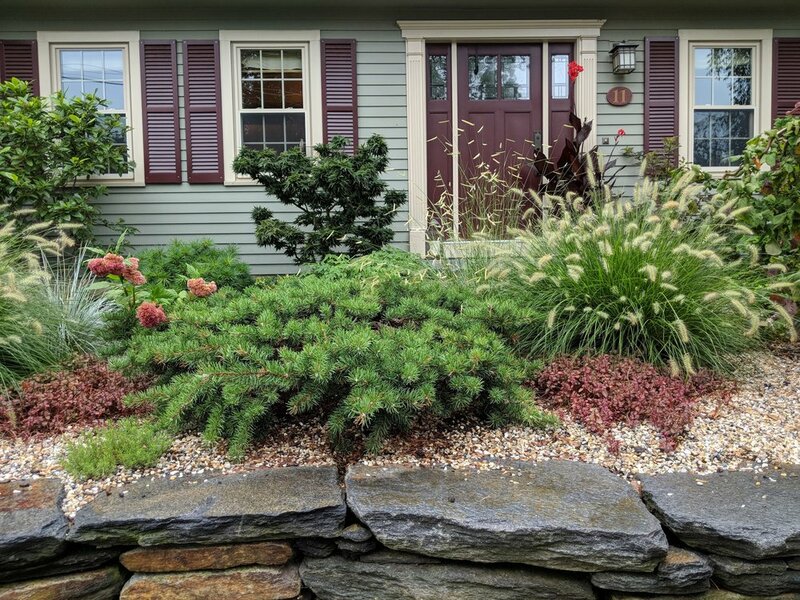 One of the challenges of garden design is to achieve Spring to Fall succession bloom and color. Just as challenging is balancing color, texture and weight of plant foliage throughout the seasons. 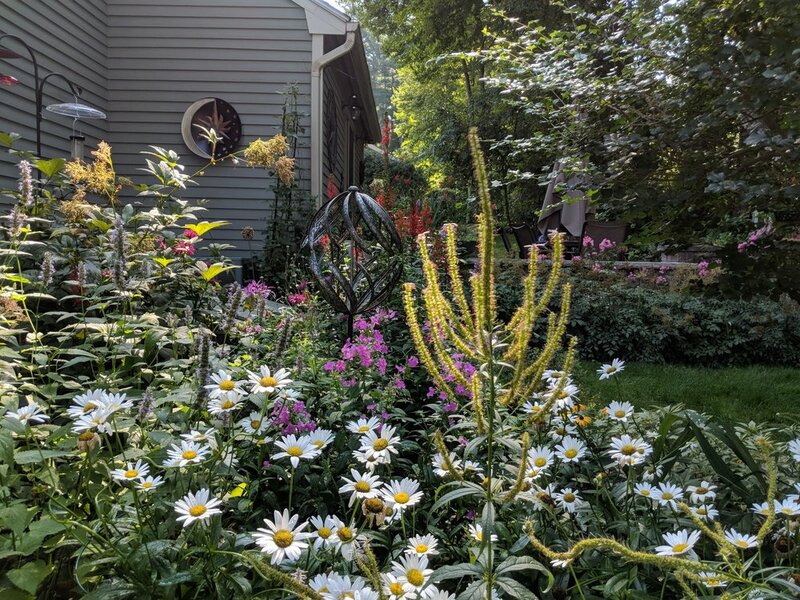 Gardens chock full of herbaceous perennials and evergreens, can really become dense and "heavy" by late August. 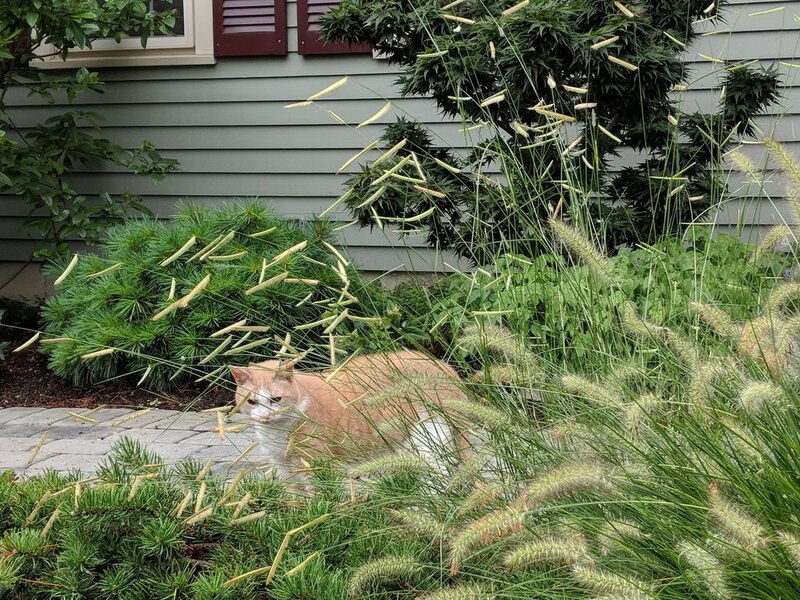 This is where ornamental grasses and what I call "see-through" plants can come to the rescue. 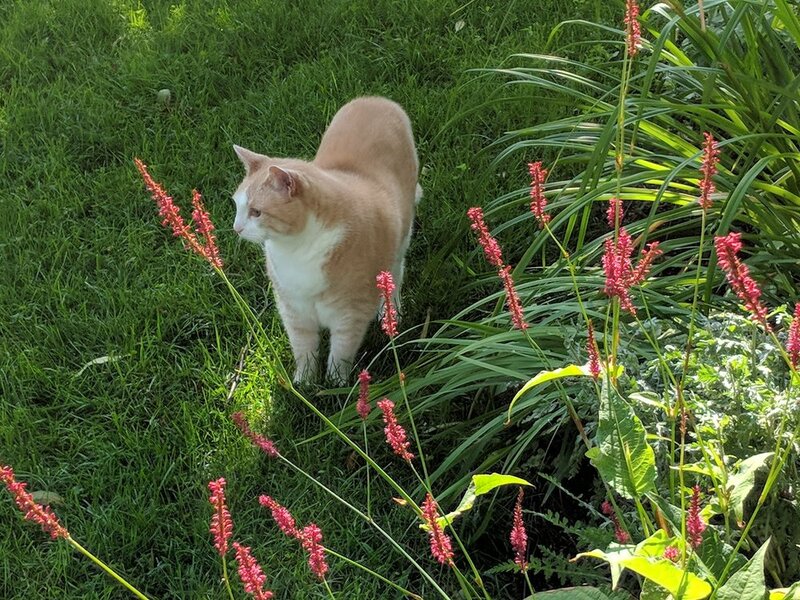 Case in point: this morning's garden walk with Harry revealed more than one perennial looking a bit tired and faded after weeks of heavy rain and humidity. At the same time, my "see-through" plants look better than ever and are real standouts in the garden. Note to self: plant more "see-through" plants next Spring! 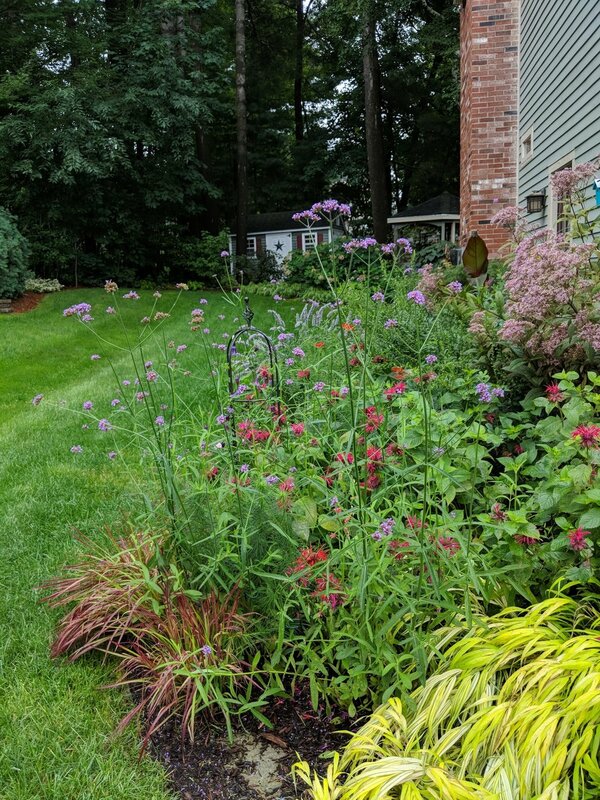 My favorite "see-through" plants include ornamental grasses, perennials, and annuals that feature tall, spiky bloom and minimal foliage, lending a transparent quality when grouped with other perennials and shrubs. 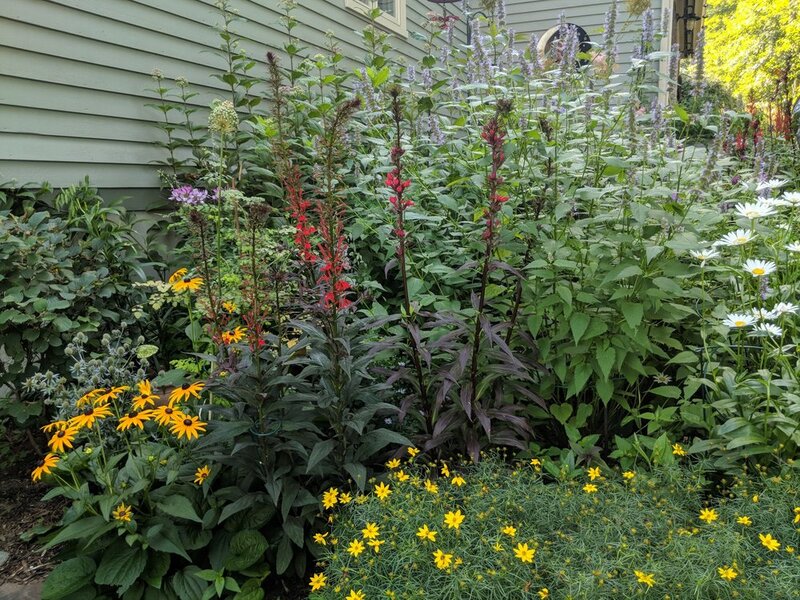 These plants also support bio-diversity in the garden by providing food and habitat for birds and pollinators well into Winter! 'Blonde Ambition' softens view to front entrance. 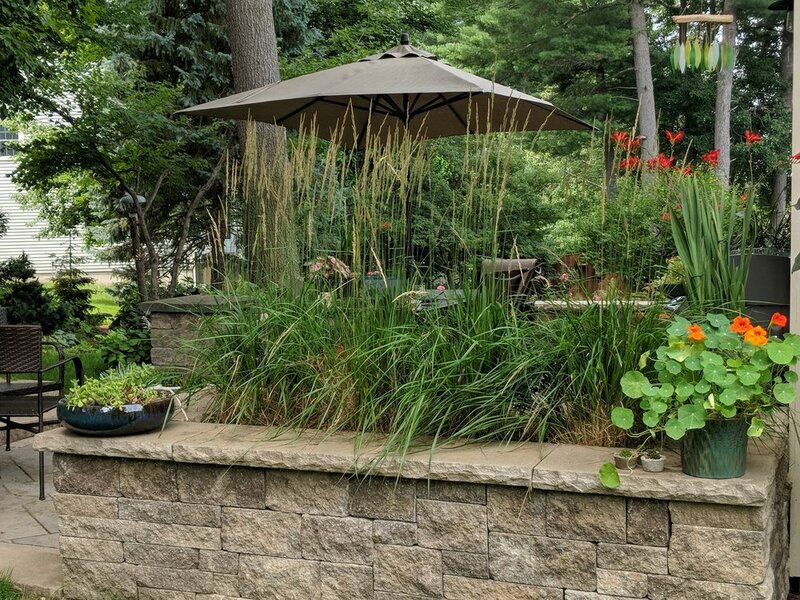 The perennials and grasses featured here are rarely found at big box stores or your local nursery. I source from the best New Hampshire wholesale growers for my clients. Get Help Finding See-Through Plants!